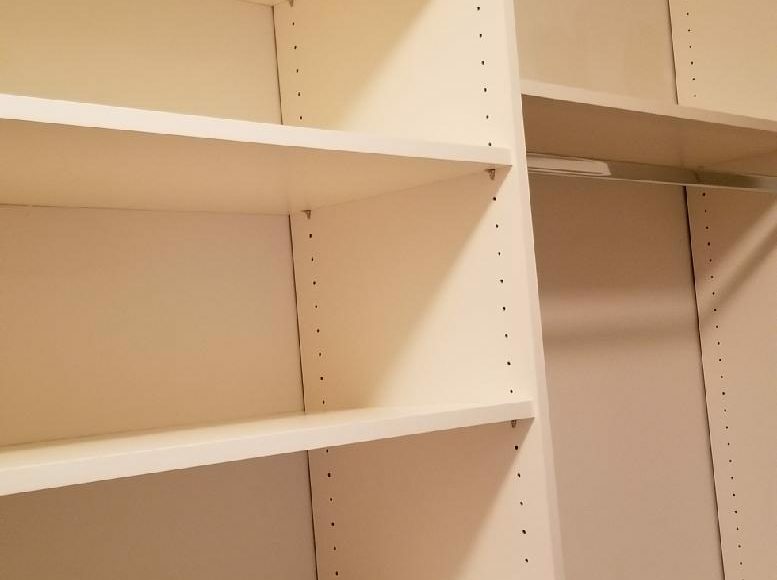 Adjustable Shelves in closet systems provide for a multitude of options. Adjust shelves as you need, and as seasons change. In winter, you may need more space per shelf for folded sweaters and jeans.